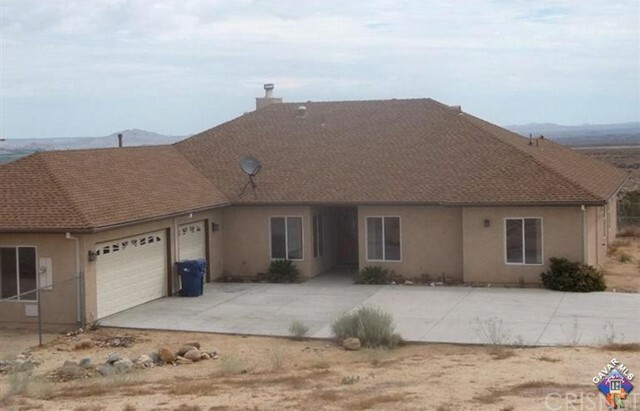 All Valyermo homes currently listed for sale in Valyermo as of 04/25/2019 are shown below. You can change the search criteria at any time by pressing the 'Change Search' button below. If you have any questions or you would like more information about any Valyermo homes for sale or other Valyermo real estate, please contact us and one of our knowledgeable Valyermo REALTORS® would be pleased to assist you. "Epic location and forever views in this ultra peaceful, close to all location! Large and open single story floorplan with 4 big bedrooms, 3 bathrooms, 3 car garage. Over 7 acres! A couple acres is completely fenced it with an automatic gate entry in front and several other access/entry points. Huge, flat, usable land for storage, parking or just spreading you wings! Minutes to Mountain High Ski Resort, Antelope Valley and Santa Clarita Valley - yet feels like in the middle of the country. Must see to understand the beauty and usability. Vaulted ceilings, gourmet kitchen, big walk in pantry, huge master, covered patio, lots of young trees poised to create an oasis!"